Learn the locations where players need to destroy snowflake decorations in Fortnite Battle Royale's 14 Days of Fortnite event. The 14 days of Fortnite challenges ran through December, giving players the opportunity to unlock special holiday-themed rewards by completing unique daily challenges. These rewards ranged from backblings to loading screens, wraps, and other cosmetics. These challenges concluded in early January, but due to some discrepancy between intended end dates, Epic Games has given players another week to finish up the 14 Days of Fortnite. One of the challenges tasks you to destroy snowflake decorations around the map, and we know the locations where players can find them. Most of Fortnite’s major points of interest received holiday-themed makeovers during the month of December, including the snowflake decorations found spread across the map. In Tilted Towers, snowflakes can be seen hanging from streetlights and lining the sides of some buildings. 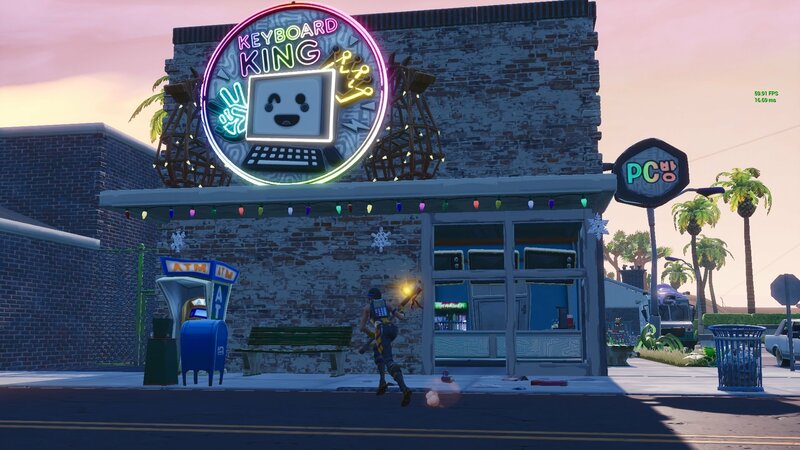 In Paradise Palms, decorations hang around the computer store and the hotel. 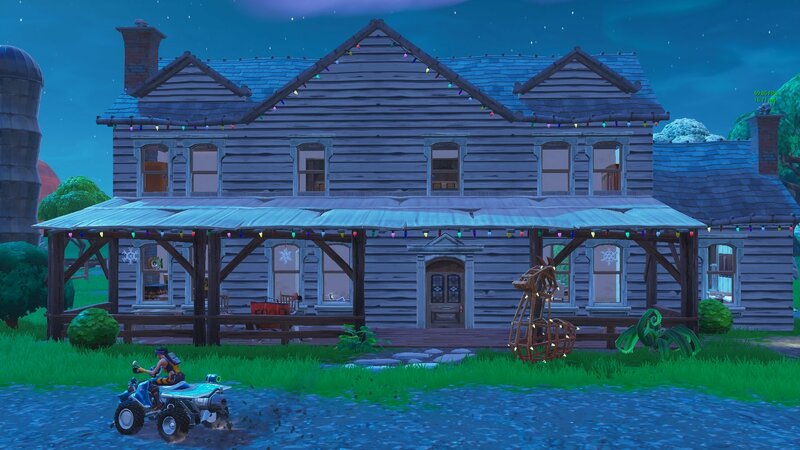 The main house at Fatal Fields also hosts a few snowflakes near its entrance. Several of the homes in Pleasant Park make for a good place to destroy decorations, along with the resort at Lazy Links. The storefront at Retail Row is back in holiday mode, meaning there are plenty of snowflakes for you to tear down there as well. Decorations can also be found above Dusty Divot at the diner and scattered around the newly added area known as Happy Hamlet. Each individual snowflake counts towards the progression of this challenge, and you only need to destroy 12 in total to complete the challenge. Snowflakes can be axed or shot down. This can easily be done by visiting two or three of the specific locations we've mentioned around the map. Finishing will reward players with the snowflake emoticon. If you need help with other 14 days of Fortnite challenges, take a look at our guide on where to find giant candy canes. Keep your eye on Shacknews’ Fortnite home page for more battle royale guides.